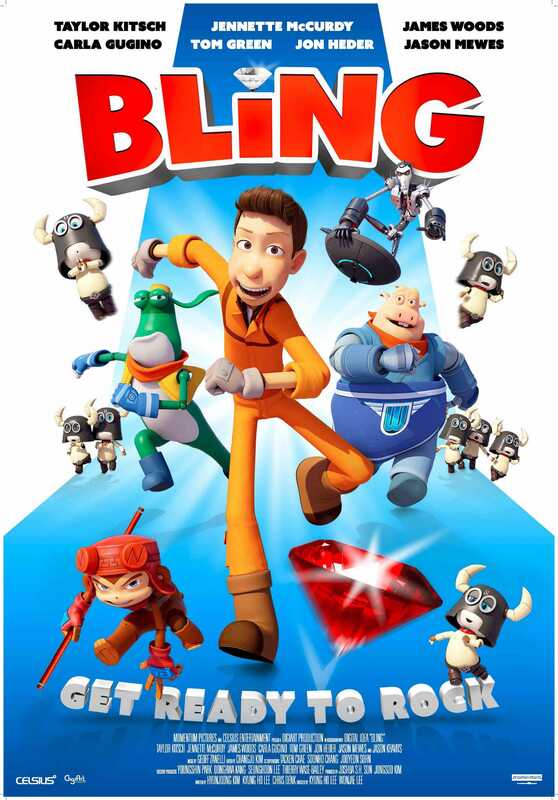 In BLING, Sam has big plans to propose to the girl of his dreams, but silly little things like stopping a supervillain and saving the city keep getting in the way. 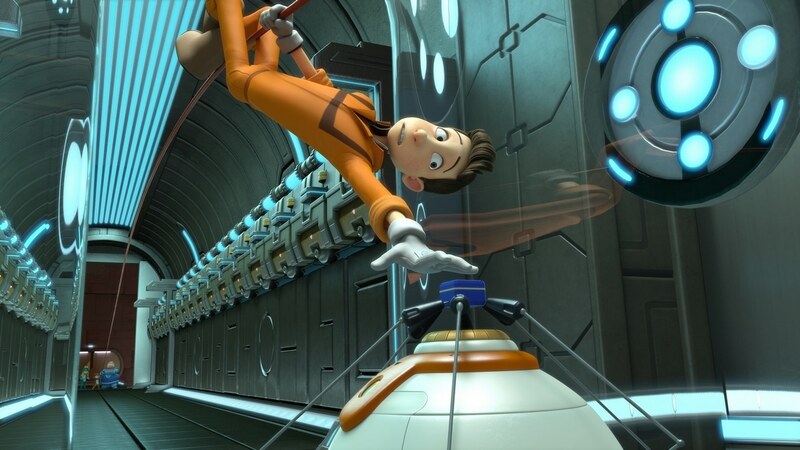 As an accident-prone amusement park mechanic, Sam must rely on his robot pals and his big dreams to overcome all kinds of obstacles in this fun, family-friendly feature. 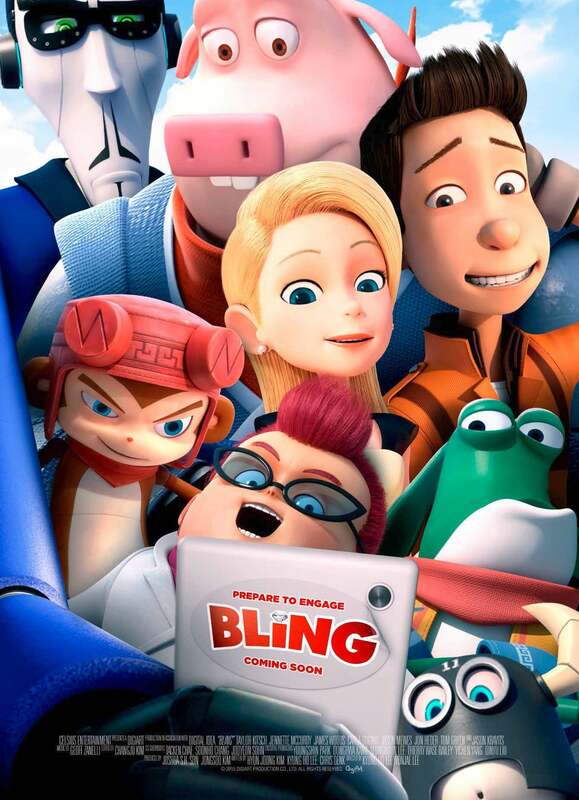 Starring the voice talents of Taylor Kitsch, Carla Gugino, James Woods, Jon Heder, and more, BLING is written by the same folks who brought us another fun animated kids film, ALPHA & OMEGA, with the vision of the director of SHARK BAIT.